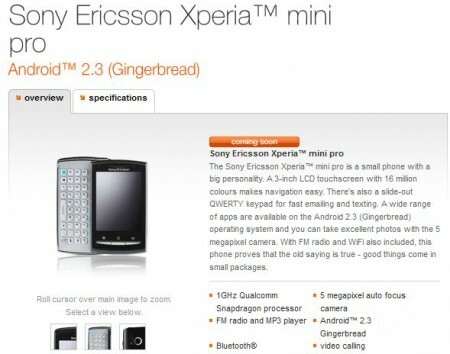 We got a good look at the all-new Xperia Mini handsets some months ago. The “Pro” model is powered by a 1GHz CPU and has a 5 megapixel camera with 720p HD video recording, Bluetooth, FM radio, GPS, 3″ screen, 3.5mm audio port, WiFi and 1200mAh battery. Despite the size it also has a sliding QWERTY keyboard and is powered by Android 2.3. The handset is now on the “Coming Soon” pages over on the Orange website, so if this tickles your fancy, get your name down. Oh, and if you can’t wait, try The Carphone Warehouse – you can get either the black or white one for £199.95. Battery life - the networks fault?